Apple’s WWDC Announcements: What are the chances? 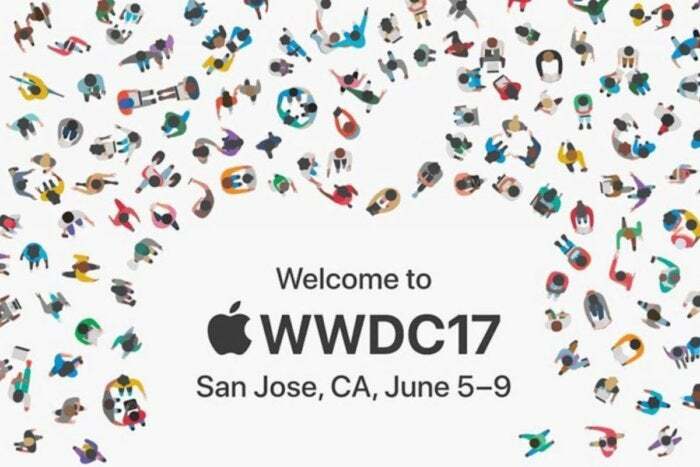 It’s the week before the kick-off of Apple’s product year at WWDC in San Jose. This is a week full of wish lists, rumors, speculation, and wild ideas. Next week all of that will collapse into one single truth: the reality of what’s unveiled on stage in San Jose. Gamblers know this feeling. Once the result is known, all of the probabilities collapse to the cold, hard truth of winners and losers. With that theme in mind, this is not another WWDC Wish List. Rather, consider this a report on the current odds of various WWDC predictions coming true. This is all in fun, ladies and gentlemen, so please: no wagering! The surest bet at any WWDC is that Apple will unveil the next generation of all of its operating systems, due to ship in the fall. Yes, it’s a near certainty that Apple will announce details about the next versions of iOS, macOS, watchOS, and tvOS. Another near-certainty: Apple likes to please its audience, and at WWDC (unlike the invite-only media events Apple holds the rest of the year), the audience is primarily Apple developers. So you can count on Apple making some announcements that are focused on getting whoops of applause from the assembled developers. That will likely come in a verbal commitment to professional Mac users—and pretty much every developer for Apple’s platforms uses a Mac to get their job done. Expect to hear a lot about Apple services like iCloud. Apple has been hyping the growth of its Services revenue line with Wall Street a lot recently. Services are a major growth area for Apple, and while it’s easy to lose sight of them when we’re all hyped up for new hardware and software announcements, it’s hard to imagine that Apple’s various services won’t be a recurring theme of the keynote. We’ll hear about iCloud, iCloud Photo Library, and Apple Music... a lot. If you’ve been paying attention to the last couple of years of tech-industry stage events, it’s clear that the large tech companies (especially Apple) have heard the criticism that their stage presenters are overwhelmingly white and male. Apple has been slowly changing the mix of their presenters, bringing in new faces including more women and people of color. The usual suspects will be on stage, of course, but it’s not much of a bet to predict that we’ll see a bunch of new faces on stage as well. Finally, I’m not going to accept any bets about the fact that Apple will continue something it’s been doing at most of its major events for the past two years: defining what Apple Watch is good at. Since the first what-doesn’t-it-do event in September of 2014, Apple has been working to give the product more definition. Health and fitness have both been areas of focus, and I expect to see those enhanced, perhaps joined by one or two more. Apple is still in the process of defining the Apple Watch, and that process will continue. Go to the race track and you’ll find someone who thinks they have a hot tip or inside information about what’s to come. (Disclosure: I’ve never been to a race track, but I’ve seen “Seabiscuit” and “The Killing”—that’s good enough, right?) Rumors serve the same purpose for laying WWDC odds. Some rumors are always right, but all rumors are never right. The trick is knowing which rumors are more likely to come true. A new iPad Pro announcement? Seems likely. 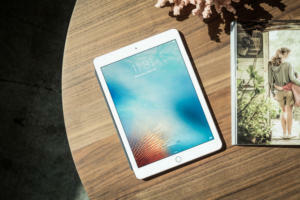 Lately the rumor mill has been bubbling about the possibility of Apple unveiling a new iPad Pro at WWDC, a replacement for the existing 9.7-inch model, with a higher-resolution screen. Normally I’d be skeptical of such claims, but the iPad Pro hasn’t been updated in more than a year and these rumors suggest this product has been ready to go for some time now. Meanwhile, fans of the iPad Pro have been restless, since the major additions of pro features in iOS 9 were followed by almost no new pro features in iOS 10. It makes sense for Apple to introduce a new iPad Pro at the same time as trumpeting its commitment to the iPad via a bunch of major new pro features in iOS 11. That’s why I think this rumor is fairly likely to come true. A bunch of laptop updates are also thick in the rumor mill, and it’s true that the MacBook is in need of an update. But the rumors also suggest that Apple might put new chips in the existing MacBook Pro models, which were just released last fall. That seems surprising—but it does fit with one of my sure-thing themes of the event, which is Apple showing a bigger commitment to its professional users, especially developers. Telling a crowd of developers that Apple is rapidly updating its pro laptops is a demonstration of Apple’s commitment, and would be met with cheers. An Amazon TV deal with Apple has made the rumor mill, but is it worth mentioning during the WWDC keynote? At these events Apple loves to talk about amazing entertainment deals it’s made. The trick is, even if Apple’s willing, are its partners? It would make sense that Apple would trumpet some coup on stage, whether it’s related to its original TV series efforts, a deal with Amazon to return to the Apple TV, or a content deal in the music or video spheres. Rumor has it that the Amazon deal is a go; it just gives me pause to consider that the relationship between the two companies has been repaired to the point where Apple promotes it on stage at a keynote. Finally, there are lots of rumblings out there that a Siri Speaker might be in the offing at last. I’m lukewarm on this rumor—it could happen, but Apple could also hold off until fall, when the product is rumored to be ready to ship. But given the heat around voice assistants in general, it seems highly likely that Siri will be a star of the show. Apple can extend the SiriKit extensions it added last year that give developers direct integration with Siri, improve Siri on the Mac, and disclose new Siri features it’s been working on. If there’s a hardware tease on top of that, all the better. It would seem like an easy call to predict that many of the features Apple introduced in the past year—dual-camera support, the Touch Bar, Messages stickers and apps—will be improved. Sometimes Apple keeps moving new technology forward—and other times it walks away for a while. A good example is iPad multitasking, which was launched with iOS 9 and was unchanged in iOS 10, and might get some work in iOS 11, or might not. Predicting that last year’s introductions will be this year’s improvements is a risky game. 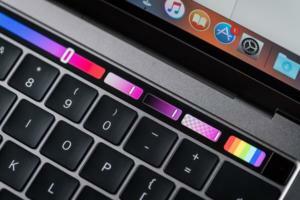 Will there be time in the keynote to introduce a new standalone keyboard with a TouchBar? I’ve seen predictions of new Apple input devices, most notably a Magic Keyboard with Touch Bar or Touch ID support. It sounds like a good idea to me, but there’s already so much hardware rumored for WWDC that it’s hard to see this as being a product Apple would devote keynote time to. Then there are the longshots. Every year something outlandish, something we would never have predicted, ends up coming true. But most of these predictions end up dead and forgotten—or filed away for predictions at a future Apple event. Without going into detail, here are my longshots for WWDC 2017. I don’t think they’re going to happen, but they could! Apple skips a cycle for one or more of its platforms, rather than incrementing its version number and declaring it a new feature. No new watchOS update, perhaps, or tvOS. This would seem to be inconsistent with Apple’s behavior, but Apple’s been doing a lot of zagging where it used to zig. macOS drops the California placenames and joins iOS in lockstep at version 11. I have a hard time seeing Apple do this, but does anyone really need to use macOS 10.13 Joshua Tree? “iOS 11 and macOS 11” sounds a lot better. This year’s the year, though. Forlorn Apple hardware gets some love. Would the Mac mini get an update? Would the Apple TV get upgraded to 4K? Would the Mac Pro, which is coming back next year, get a mention? It’s all possible, but not likely. Hints of VR or AR functionality. This stuff seems a long way off, but could Apple wrap some augmented-reality-like feature into the iPhone Camera app and show it off knowing that it’s really dipping its toe into AR? Or what about a VR strategy based around the iPhone, somehow? Unlikely, but never say never. Major new Mac features. Most macOS updates these days are about keeping the Mac platform in sync with Apple’s others. What if Apple made major changes on the Mac, with new features that made the Mac better at its job, despite the lack of connection to iOS? Look, I told you these were the longshots. But we can hope, can’t we?